After being thwarted by Max the Mole on a previous visit (and having insufficient time to deal with all the lines I hadn’t done!) there were still things to do in Baden-Württemberg as part of my ‘work south’ plan. Max was also hard at work in the Hamburg area, resulting in diversions over the freight line from Buchholz to Machen. This gave me the usual peg on which to hang a trip so I set off for Düsseldorf and Hamburg with a view to working my way down to Baden-Württemberg clearing one or two ‘odds and ends’ as I went. Morning journey to Coventry started well - 0607 Telford - BNS (not in the printed timetable, but who’s counting) was a relatively well appointed Arriva (ex FNW) class 175. [Looking at the garbage which Arriva are using in 2006 (and in 2018) this 175 looks like luxury indeed!] 0700 BNS-EUS turned up OK, loco shoved, but was then declared a temporary failure. Dashed across to 0703 Bomo which was late, and was also formed from two units which had to be split. This very un-British activity allowed 0706 CT stopper to Birmingham Irrational time to get away and we trudged all the way behind it. So late were we at Irrational that I baled out and caught 0732 local (0718 ex BNS) to Tile Hill, so made Westwood by 0800 and a few seconds. Never did see the 0700 ex BNS again. In the evening, went for the safety option of the 19W at 1635 to give maximum train choice from Coventry. This was 10 late and further delayed by a road accident, so I ended up just missing a VWC loco hauled train at Coventry. I caught the 1726, the train I’d usually get from a 1700 departure from Westwood! Plenty of time though, and LH2015 (a CRJ) was late too. For some reason I got upgraded - all I can say is that steerage must have been truly dreadful. It’s a code share flight so maybe BMI passengers go steerage and Lufthansa get upgrades if needed. No draught beer airside at BHX either. About 15 late at DUS on a booked 2140 arrival so it was a bit of a scamper for the 2203 S-Bahn, but I just made it and was in the surly Hotel Schumacher by 2230ish. Decided against visiting the eponymous pub - too far, too hot, too late! Excellent night’s kip - just needed another 2 hours! I’d decided on leaving at 0710 as it had seemed quite a way from the station (train at 0733). Breakfast at 0700, so a bit tight, but I arrived at 0655 to find it in full swing so there was no problem. It proved to be only about 10 minutes to the station so I had time for the cash machine and a bottle of water from the shop. [Proving yet again how it always seems far farther when you’re hot and tired and on an unfamiliar route!] 0733 was shoved by (presumably) a 101 and was 2 late from D-Hbf. Very lethargic as far as Essen (5 late) but modest improvement set in eventually, with 4 late at Dortmund and 3 at Münster (the single line thereto from Lunen must be one of the world’s faster ones). The 3 minutes was held all the way to Bremen but a couple more went on (presumably) TSRs before Buchholz where the freight line to Maschen via Jesteburg diverges. The diversion over this line was duly done, if not at IC speed then at least reasonably briskly, enough to make the 13 minute connection look a runner. 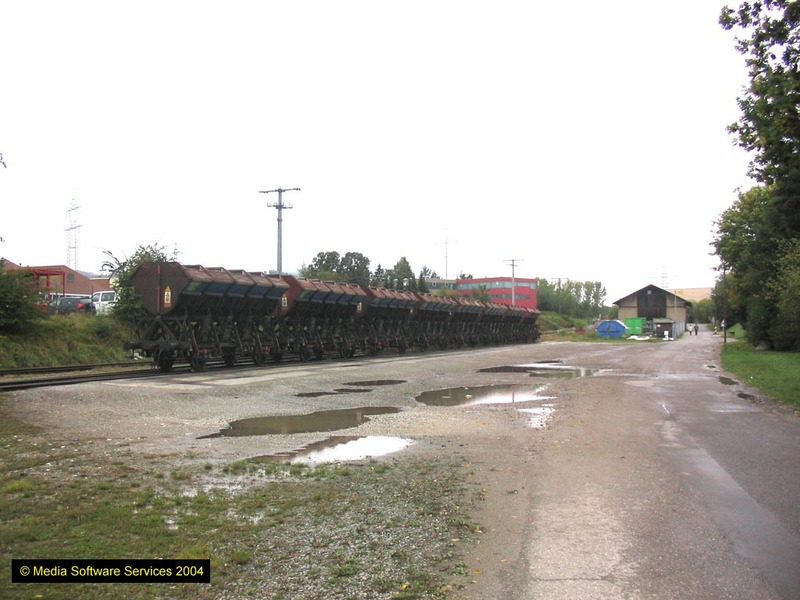 We ran up the freight (or slow) lines to the east side of Maschen yard, crossing over on to the Hannover (or maybe fast) lines at the north end of the yard. Arrival at Hamburg-Harburg was at 1108, 8 minutes late, which provided adequate time to amble over to P4 for ICE587 at 1113. This was fairly wedged and I made a wrong decision on my seat search, ending up in an accursed smoker. After an hour in the smoke I seized the opportunity at Hannover to grab a seat in the next coach for the remaining hour to Kassel. Which was far better! On time arrival at Göttingen and at Kassel-Wilhelmshöhe after 250kph thrash on the NBS. I just made the 3 minute connection at Kassel into an RE to Kassel Hbf where with an hour plus to wait, I went on a fruitless search for the homebrew pub. Too hot, too far, couldn’t remember where it was but at least I tried! Ended up back at the station with a can of Felskrone from the Linden Brewery of Unna, purchased from Ihr Platz at a mere €0.65, plus the pfand of course. Yes folks, that’s about 70p/pint. It was surprisingly good, too. 143035 was the traction for the next stage which was 1444 RB from Kassel Hbf to Gensungen-Felsberg, the station before Wabern. This was a calculated strategy to minimise cost if the KNE gripper (if any) wouldn’t accept my Domino, while ensuing also that the physical connection at Wabern got done (hence, also, the hour’s wait at Kassel). No sign of grippage, and in any case Bad Wildungen seems very DB-centric so I guess I was valid. KNE seems to have changed into Vectus Verkehrgesellschaft mbH, whose Alsthom ALFA provided the haulage. We crossed over twice before Wabern - not sure which was the physical junction but P1 only handles branch trains so the strategy was correct! The branch is pleasant if unexceptional, and Bad Wildungen looks worth a visit given more time. The station has a buffet, smart but featureless and advertising Bitburger (or maybe it was Warsteiner) so I managed to pass up the opportunity. At Wega the west to north curve is in place but heavily rusted and blocked by trees. The east to north ‘main line’ towards Korbach has been lifted. Stops were made at Ungedanken and Mandern which weren’t shown on the Hafas CD. Timber traffic was in evidence at Fritzlar. Which I did. Arriving back at Marburg only 6 minutes earlier, there wasn’t much choice. On arrival at Marburg at 1825, 1821 RE to Kassel was just starting to roll - very annoying. Even more annoying, it then failed just out of the platform and fouling the points for my RB. The driver got it started after 5 minutes or so, so when the RB turned up all was well, provided of course that the RE doesn’t fail again somewhere we can’t get round it. It didn’t, or if it did, we did. Near enough on time at Kassel-Wilhelmshöhe - didn’t bother going into town in case I could get a meal at K-W. Some hope! Still a Thüringer filled the gap and beer supplies (Admiral, from some factory in Hamburg) were obtained in case of disaster at (or before - the ICE was 5 late) Eisenach. Still 5 late at Eisenach but the Hotel Stadt Eisenach is only 6 or 7 minutes walk, if you turn the right way. I didn’t, but the friendly local Shell garage put me right before I’d gone far. Disaster did strike in that the brewpub is now a Greek restaurant, but I was far too tired to care. Hotel Stadt Eisenach is very pleasant in the Travel Inn style and a sound breakfast was available at 0600. At €43 through HRS it cannot be recommended too highly (except for the Midnight Mozzie - but that was my fault, I should have kept the window shut!). Down to the station for the 0709 RB to Gotha but having [as usual] been cautious about time I just made a very slightly late ICE1553 (0657) to Gotha. The 0738 to Gräfenroda was a DB class 641, with the gripper questioning me in the traditional style as to whether I really wanted to go via Crawinkel to Gräfenroda. Patronage is poor (or was on this service) though one or two used most of the intermediate stops. On the reopened section beyond Crawinkel the track is in good shape, but only one passenger joined (at Gräfenroda Ort), making a grand total of 2. My connection at Erfurt looks like a non-starter as the SEV from Zella-Mehlis is late. Max the Mole strikes again. At least I can drop back to the original plan (which presumably would have gone down the river too). 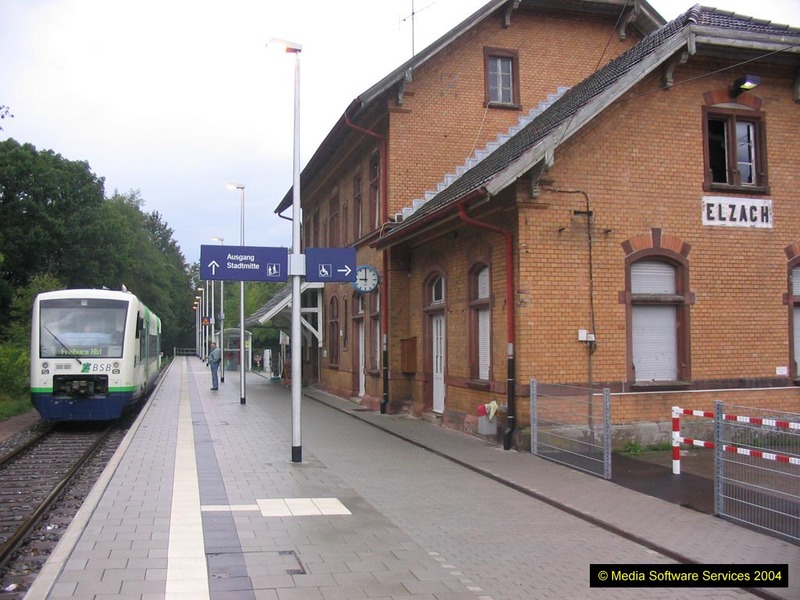 Meanwhile back at Gräfenroda, the station has been rebuilt with the Gotha line as a ‘bay’ between the Erfurt-Schweinfurt line and the station building, and the physical connection relocated north of the station. By the time the SEV turned up we were 10 minutes late, not good for a 9 minute unbooked connection. 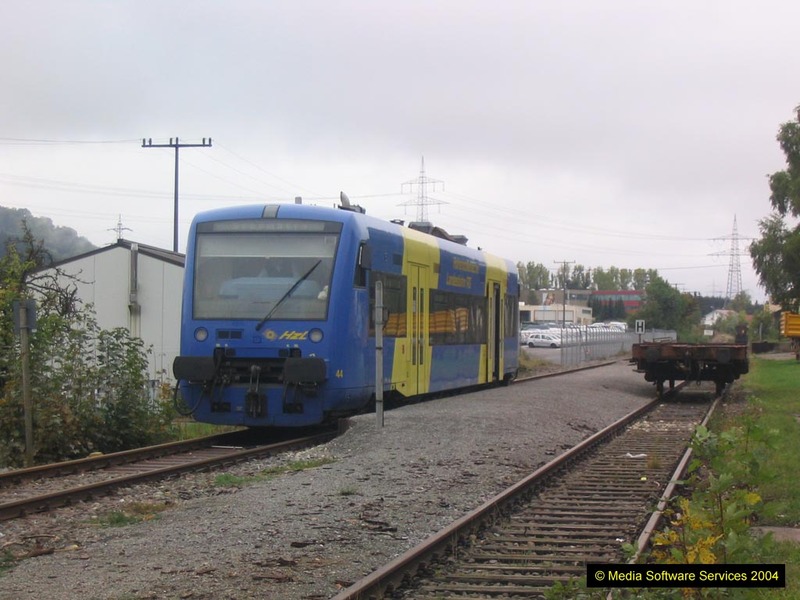 Worse was to follow - turfed out of the train at Plaue on to another STB kart, presumably from Ilmenau. This was done with great despatch however, and with a 3 minute allowance the deficit was cut a little. Signals then struck on the approach to Arnstadt, and the 0859 DB train (ex Saalfeld) got there just before us. Despite being side by side, and our 0851 scheduled departure against its 0859, the DB train went first (I wonder why) and we went, 12 late, at 0903. I’d abandoned hope when, as we ran into Neudietendorf, an RB for Eisenach was in the other platform. I was sufficiently convinced that ‘my’ IC stopped at Gotha that I made a split second decision and dived out. Got the RB, and the kindly gripperette confirmed the connection. So I ended up with a comfortable 15 minutes at Gotha. The IC was very slightly delayed by a non-tilting 612, but as that had stopped at Neudietendorf the IC must have left Erfurt on time. Sometimes fortune favours the terminally stupid, a thought which has occurred on a number of times before! 3 minutes late fairly constantly from Eisenach (delayed by an ICE) to Kassel but by Warburg it was down to 35 sec! I reserved the beer purchased at Gotha for the new deviation line - this was Waidbauer from the Stutzhäuser brewery of Luisenthal. It was rather fortunate to get (a 5.4%) something from the Crawinkel branch as a chance purchase. Brakes came on hard before the start of the deviation line (which has 2880 metres in tunnel near the southern end). This was a bit alarming but it was just single line working on the southbound line through the tunnel. The old alignment has been removed, at least at the ends. Despite the long single line section (to km 116, well past the deviation) the IC was near enough on time (1157) at Altenbeken, in plenty of time for 1202 IC southbound. This was reasonably wedged but by some miracle had space in an ex IR vehicle. By the time all the natives had realised, I was comfortably ensconced. For some reason vast numbers piled in at Warburg, and out again at Kassel. I was very concerned as to whether I’d get a seat on ICE877 to Frankfurt at 1317 on a Friday. It was indeed wedged (and 6 late into the bargain) and I ended up with a rear facing compartment seat, corridor side, reserved by somebody else - about as bad as there is! I decided to sit tight and see what happened; the lady owner duly appeared and I decamped immediately. By this time all the locals had settled down so I had time to read the reservation labels, and soon found one reserved to Göttingen and from Frankfurt. This seemed to fit the bill for a Kassel - Frankfurt journey - problem solved. While this was going on the ICE was getting down to some serious thrash and by Fulda it was only 3 late, so Dietzenbach looks like a relatively easy option. 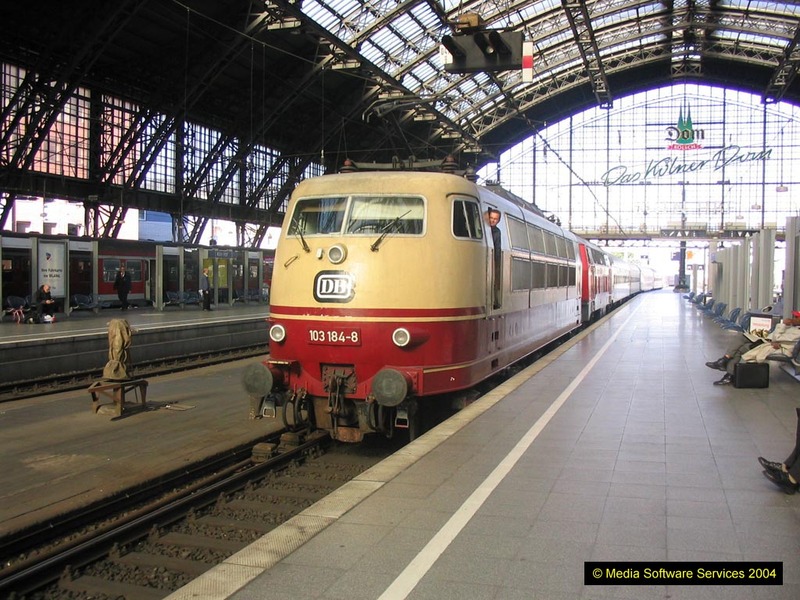 In fact 877 was if anything slightly early at Frankfurt Hbf having run in via the Mainbrücke. A late lunch was grabbed there. Enquiries at the Reisezentrum suggested that my ED was valid to Dietzenbach, so off I set on 1509 S2 to Dietzenbach Bahnhof. This is a line it’s hard to enthuse about - S-Bahn to start with, and on top of that it serves an exceptionally unexceptional area of commercial/industrial development, high rise flats and the like. The stations have all been renewed in the current DB steel/glass/concrete style although the original station building survives at Dietzenbach Bahnhof (formerly Dietzenbach (Hess)) in very run down condition. It was raining too, but you can’t blame Dietzenbach for that. Or can you. At any rate, I’m glad to get it out of the way. Getting to Karlsruhe proved more arduous than I expected - ICE277 was absolutely heaving and I had to stand to Mannheim. Serves me right - 1700 on a Friday indeed. Having got a seat, vacated at Mannheim, the conductor announced a ‘problem with the locomotive’ and a 15 minutes delay. I was expecting a British style farce, cancellation, travel on heaving train an hour later, etc., but in the event we were only a few minutes and tore down to Karlsruhe at 200+ kph, arriving 11 late. By the time I’d got a tram ticket, found a tram, found a streetmap, found the hotel it was 1850 and I emerged again to head for Vogelbräu at about 1930. Vogelbräu was heaving too but luckily a small table was vacated a couple of minutes after I arrived. Brewer’s Pan (a skillet with two pork steaks, hash browns and a fried egg) was excellent and very welcome after a couple of day’s oddments. ½ litre of the unfiltered pils went down well, too. Set off to find the Kühler Krüg brewery but the no. 5 tram wasn’t in action - tried no. 1 tram to get to the 55 bus but ended up on a 1E which went somewhere else! By this time it was bucketing down with rain of the sort that gutters and storm drains find hard to cope with, so it was back to the hotel for an earlyish night. Not quite the planned start! I’d intended to get to the station in time to get some breakfast before 0657 EC to Freiburg. There was a clutch of trams just after 0600 then a bit of a gap so I set out to get one of those. Arriving at the tram stop just before 0600, a tram turned up ‘4E Hauptbahnhof’ so I took that, arriving at the Hbf just after 0600. There turned out to be an RE to Basel SBB at 0608 arriving Freiburg 0745, a much less dodgy connection than the EC’s 6 minutes. Accordingly a bucket of coffee and a ham roll were grabbed and I made the RE by, oh, easily 30 seconds. Shame about the mayo, but there wasn’t time for bespoke. Bet the EC’s on time now, too. A truly miserable morning - I’m writing this at Freiburg, 0802, big thunderstorm, still nowhere near proper daylight. The EC has just slunk in, 13 seconds late! I’d have fretted all the way to Offenburg though. First point of note on the Elzach branch is that at Denzlingen the karts have their own platform so it’s not the place to join and leave. As if. The depth of gloom at 0820 is astonishing; any phots at Elzach will be tripod and long exposure! The trains (Breisgau S-Bahn Adtranz SULFAS) cross at Waldkirch, where the donner und blitzen were still going strong. The trains have a 25 minute layover at Elzach which, blessedly, has a café. Quite pleasant, and better yet, open. A cup of coffee made a nice alternative to sitting in the kart watching it rain. By 0900 the rain had eased and the cloud thinned a bit so ot was recognisable as daylight at last and possible to phot without shelter, Elzach is the usuaul single platform with plain track, 362 metres (1200’) above sea level according to its little enamel notice. If you could see it, it would probably be quite a nice part of the world, but all my Black Forest outings seem doomed to rain and/or darkness! On the return the kart was full and standing from Waldkirch, to the point that after Denzlingen people were having difficulty boarding at the stops. Arrival at Freiburg was a minute or two late as a result, but in plenty of time for ICE501/LH6805 which arrived a couple of minutes early and with an adequate supply of empty seats. Surprisingly it ran rather cautiously especially on the ‘bendy bit’ north of Weil, and was a couple of minutes late in Basel Bad. Bf. Border formalities took place on the train - I was ignored, but the woman behind me completely wrapped in a blanket with face obscured wasn’t, nor was another rather down at heel looking individual opposite. On from Basel BB to Zell. This 27 km branch runs through suburban and light industrial areas though it showed no evidence of freight traffic except at Lörrach. It becomes more rural towards Zell, though the mill building opposite Zell station wouldn’t look out of place in East Lancs. The former ‘Swiss avoiding line’ still carries a heavily rusted and overgrown single line where it diverges near Fahrnau, but it isn’t connected. Zell station is being much rebuilt with a temporary wooden platform on the south side of the line. The line ends here, but the formation can be seen continuing towards Todtnau. A new station is under construction between Lörrach-Stetten and Lörrach, with platforms on both Weil and Basel lines. At Basel Bad I took the opportunity to wander into Switzerland, change Helen’s Swiss francs for Euros and wander out again! 1240 to Lindau is a tilting-or-not-kart. No sign of any emergency timetable so either it’s now enshrined or they’re tilting again. Time will tell. It didn’t noticeably tilt (and noticeably didn’t, approaching Schaffhausen) so the new timetable must be semi permanent. Schaffhausen is seriously complicated border wise. I couldn’t figure out whether to go through the checkpoint or not, so on a Germany to Germany basis I didn’t. This seemed to involve entering/leaving Switzerland improperly - or did it? Border persons are beside me on the IC as I speak, or write. Once again I’ve been ignored. At least the random bureaucracy adds a bit of interest. Back at Schaffhausen the ICE from Zürich was showing a 10 minute delay. This seemed unbelievable for a short run in Switzerland - and it was. The ICE rolled in on time and left on time at 1352. Just as well - with a 10 minute connection at Tuttlingen things could be uncertain. That one’s booked, but it’s only 15 at Sigmaringen. No dramas with the HzL train to Sigmaringen - the ICE arrived at Tuttlingen on time and the HzL (a seasonal weekend jolly with some kind of ‘fun’ vehicle sandwiched between two HzL ‘class 153’ look-alikes) was about 5 late. This reduced to 3 by Sigmaringen. The emergency timetable lives on and is posted there. The HzL train seems to be in association with (sponsored by?) the Upper Danube Nature Park which stretches along the gorge to Immendingen. The 611 for Tübingen was waiting at Sigmaringen. It was delayed some 6 minutes by a 628 (vice 611?) on its way to Neustadt, but made short work of the temporary timetable and was back on time before Hechingen. The line leaves the Danube valley by a tunnel and climbs up a smaller but still impressive valley to the summit, well over 2000’, at Albstadt-Ebingen. Thereafter it’s less dramatic but a pleasant enough ride on a very grey afternoon. The Schömberg branch trails in at Balingen Süd and parallels the Sigmaringen line into Balingen, where P1 is to the east and P3 to the west. Strangely, my IRE used P3 - there being no diamonds, that’s the connection on to the branch done! On to Tübingen on time, completing my last ‘regular service’ Baden-Württemberg route (unless you count the Swiss ‘corridor’ line). Thence to Metzingen - the hotel was too far away to get there and back unless I risked the last connection. I felt I’d used up my luck for the day so didn’t chance it, and the same applied to getting a meal in half an hour in Metzingen (station gaststätte closes at 1400 Saturday - you might know). So there was nothing for it but to wait in gathering gloom for the kart to return from Bad Urach. If I’d thought, I’d have gone up the branch on it for something to do. Meanwhile, only I could meet four drunken Brits in pink and white shirts in Metzingen - and get spotted… Looks like the rest of the night to be spent avoiding them. Achieved so far (2032) having checked in at the hotel, which is right by the bus stop for the 0848 bus tomorrow, and staggered down to the Neckarmüller pub for one of the best beers of my life. The beer’s fine - but the thirst!! Looks a bit expensive at €2.70/0.5l, but that’s £2.10-ish a pint. Done that calculation before, I think; see previous visit in August. The menu at Neckarmüller was Dave-proof so I went for a wander round the Altstadt (i.e. most of Tübingen) to find anything that wasn’t McHorrors. I found a very pleasant pub selling Fischer’s of Mössingen, but my sort of pub seems to be everybody else’s sort of pub in Germany and there wasn’t a seat to be had. On therefore to the Schnitzel Akademie, not the most atmospheric but it had just one small table left. Madagaskar Hacksteak was a kind of meatball in pepper sauce and was superb. The Sanwald Weizen was OK too, and settled a score from Stuttgart in August when I’d seen quite an appealing Sanwald pub while searching for Sophie’s Brauhaus and hadn’t had time for a sample. Back to the hotel on foot then, with rain setting in just as I got there. Breisgau S-Bahn unit at Elzach 9.10.04. End of line is beyond the unit, and the station buffet is truly welcome on a cold, wet, and thus far breakfast-free morning! 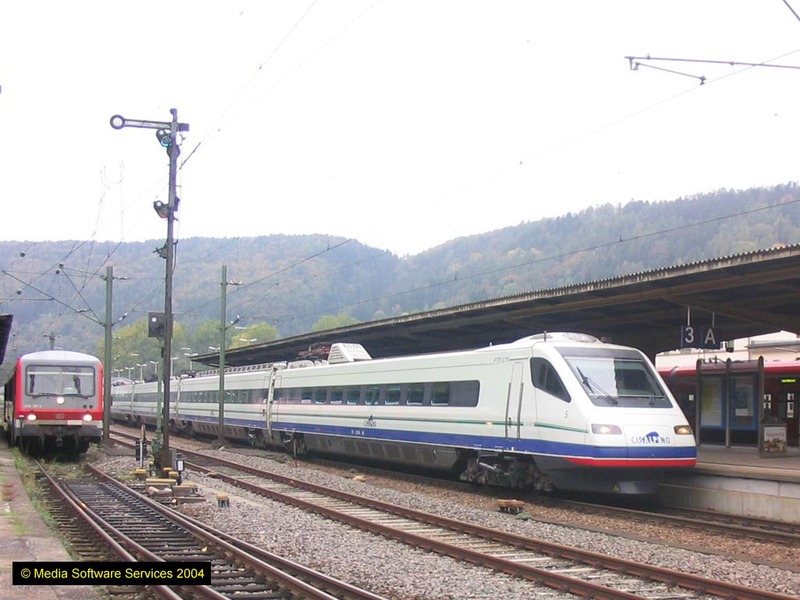 SBB EMU at Zell (Wiesental) 9.10.04. As is obvious from the picture, the station is having a major rebuild. Awoke about 2 minutes before the alarm at 0715. Much refreshed by a reasonable night’s sleep and a shower, pottered down for a pleasant breakfast and over to the bus stop around 0830. Bus wasn’t until 0848 but the sight of a dead bus across the road concerned me in case mine had failed on its outward journey. Turned out, however, that there was a no. 2 at 0832 which I hadn’t spotted, and that turned up OK and took me to the Omnibusbahnhof opposite the station. The usual Sunday crowd of cheery geriatrics with silly hats and complicated high-tech sticks has just turned up. They seem to be having difficulty understanding it all, too. Nice to know it’s not just me and the travel centre man. DB man no. 2 made a point of putting me in the right kart when it arrived, and one of the drivers has checked with everybody as well. This must be quite a cavalcade as it looks to be two Ulm karts in front, one Schömberg in the middle and two Kleinengstingen ones at the rear. The Ulm ones only appeared at the last minute so I don’t have a pic, sadly. Geographical separation of the Schömberg branch is at km 43.5, some way south of Balingen Süd, though the physical junction is just south of Balingen. At Balingen P1 appears not to be in use. 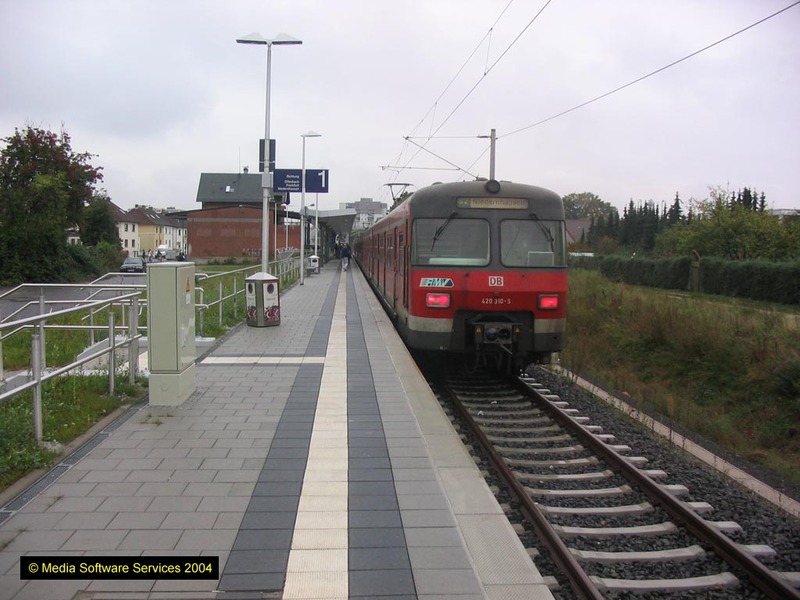 We used P2 not P3 as booked - it is theoretically possible to run from P3 straight on to the branch but from P2 you must run a short distance on the Sigmaringen line before crossing over. Microgricers to note. The intermediate stations on the branch have basic gravelled platforms, name boards and even waste bins. At Dottenhausen-Dormettingen there is a large cement works with an unused rail connection; a new road bridge is being built over the branch immediately south of it. The other 4 (out of 5) passengers left at Schömberg Staussee. 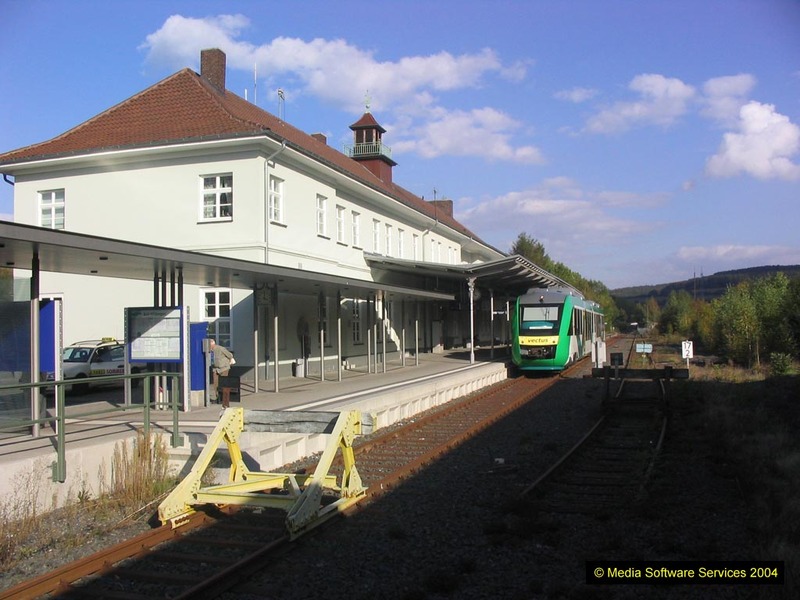 I continued in solitary state to Schömberg (b. Rottweil) ‘proper’ where another neatly gravelled platform has been provided, about 50 metres short of the original station whose building is in use by a transport company. The line continues for another two or three hundred metres, ending at a road where there are two disused connections to a factory. Eight tipper wagons were standing near the end of the line, loaded with gravel or aggregate - these belonged to PEG of Pütlitz, but beyond that they were uninformative! They must be the only regular traffic and the whole operation looks high risk. The former goods yard is a storage facility for Japanese MPVs, all silver in a Henry Ford parody. The prophet was confounded at Balingen where we wiped the rust off P1! Well, I suppose it gave me a sample of all three. Unless I’ve misunderstood, the connection shown in S&W at Hechingen coming into the Albstadt line from the north doesn’t exist - the only connection from the Gammertingen-Eyach line appears to be from the south. The connection on from Balingen was another HzL kart, two units this time. It was on time, fortunately, with a 3 minute connection at Tübingen on to a Horb train which, if missed, would risk darkness at Lauda, this was important. Watching the timekeeping because of this I noticed how tight the timings are. 3 minutes for 5.2km Nehren to Dusslingen, start to stop is motoring even if it is downhill. The driver made it too, power on all the way then brake hard for Dusslingen. I’d positioned myself where I thought the subway would be at Tübingen, thinking that P12 would be the bay at the end of P1 (the HzL kart was booked into P3). Shows how wrong you can be - I was by the subway all right, but P12 is at the end of PP2 and 3. Right at the end. Luckily I’d seen the Horb train on the way in and tore up the platform, reaching my seat at 12:34:53. The train (a 628) left at 12:35:06. 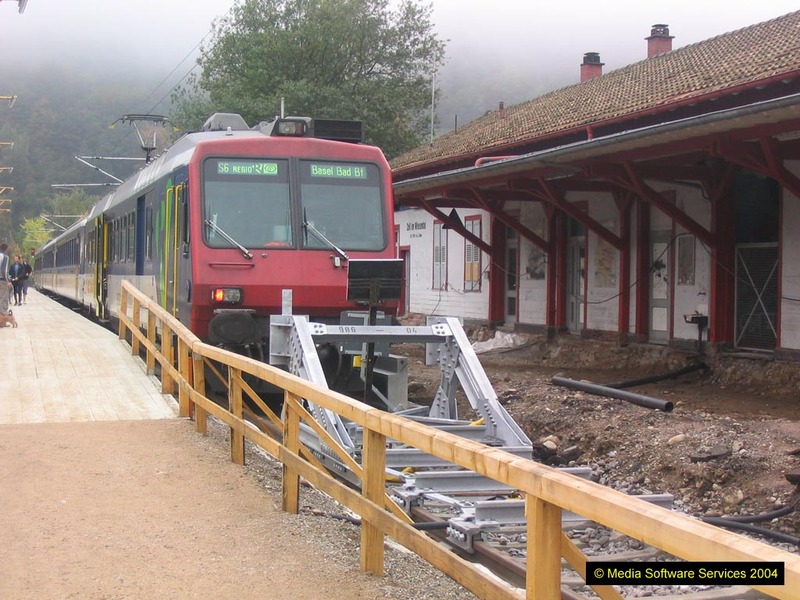 There was an HzL kart in the Hechingen line platform at Eyach. Is this another one I’ve missed? [No.] Must check the timetable. There’s a highly impressive motorway viaduct over the Neckar valley at Eyach, too. Nothing HzL on the timetable at Horb, but doubt remains. There was a Cisalpino (Italian ETR470) due at 1317 so I stopped for a master shot. This was before DB arrived in the form of the 1322 RB to Tübingen and parked it in the way! I settled for a less master shot, and the C/A was a bit late, so I arrived in the - yes, open on a Sunday!!! - station buff just before 1330 in time for a nice Alpirsbacher weizen, served with great speed by the pleasant and efficient barmaid, who also made life much easier by taking the money straight away. This saves planning 10 minutes ahead when you want to leave and is much to be commended! The RE to Stuttgart was one of the ghastly 42x electric karts, however the journey was enlivened a little by the exchange of texts with a friend in the UK regarding drinking fixtures! On arrival at Stuttgart I dashed off to the shop for a beer and a bratwurst, getting distracted by what I thought was Button leading Montoya and Schumacher but turned out to be Trulli leading Montoya and Barrichello somewhere in mid field! The beer was Schwaben Bräu ‘Das Helle’ in a handsomely labelled swing top bottle. All I can say is that the beer didn’t seem to do the bottle justice. The Thüringer was good though. The trolley man on the train has just been round, claiming to peddle Stuttgarter Hofbräu. Might call his bluff on the way back. There was no bluff to call. The blighter got out at Lauda. Still, it was new track from there to Würzburg, and a very pleasant ride with a bit of blue sky starting to appear. Arrival at Würzburg was on time and after a quick train time check for the morning it was off to the hotel. This was easily found and will be suitably easily forgotten. Still, it’s handy for the hospital (across the road) and the city centre (up the street). There followed an extensive search for refreshment. The home brew (by the country end of the Alt Main Brücke (which sort of vaguely resembles the Charles Bridge, sort of) was easily located, but shut on Sundays. Troop, troop all over the city centre, eventually found Martins, a pleasant enough cellar bar which did beer and… schnitzel. At least I didn’t have to default to McDs. Maybe I should have. Probably the second worst meal I’ve had in Germany. There’s always Burger King, Dresden, of course but to paraphrase the late Brian Clough ‘it’s in the top two’. The Distelhäuser Weizen was perfectly acceptable though. I went to ‘150 beers’ which contained only a few yoofs and no grownups so at this point enough was declared to be enough and I retired hotelwards. HzL railcar at Schömberg with the summer Sundays only service from Tübingen 10.10.04. The former station is immediately beyond the unit. Evidence of freight traffic at Schömberg 10.10.04. I'm just beyond the former station still looking towards end of line which is at a factory 100m or so further on. Alarms and excursions. After bathroom visit at 0030 I switched on the light again, only for the bulb to go. Tried the room lights in case I needed a sharp exit to the fire escape - no go. No telly either. Couldn’t see a chink of light anywhere so I thought the whole floor had gone. While pondering how to do something about it I remembered the mobile phone, which gave enough light to move around, so having got some clothes on I set out to see The Man, only to find the corridor lights on. The Man showed me how to reset the circuit breaker, problem solved (except he hadn’t got a spare light bulb, can you believe). Could I get back to sleep? Nice breakfast though. It was just getting light and what appeared to be a balustraded terrace outside the (basement) dining room materialised as a 'Muriel' on the yard wall depicting Italian countryside! Nice try. Timekeeping on the Würzburg - FFM ICE wasn’t so good - 3 late from Würzburg (shock, horror) more or less recovered by FFM Hbf, then signal checked almost at the platform end for another three. Stood in the platform then Fat Bloke In Orange Jacket With Radio appeared. Much thumping of something at the end of the coach (‘receiving fitters’ attention’ in UK terms). FBIOJWR then went away but presumably we’d lost the path by then. Eventual departure was 9 late but with 14 minutes booked connection at FFM Flugh. that was no great worry. ICE902 (Basel - Dortmund) was wedged, and my €3.00 was well spent, sitting in my seat watching the locals settle down. They do take a long time. 143 km to Siegburg-Bonn didn’t; 35 minutes with a slightly early arrival. Not so at Köln Hbf where we were a minute or so late. Half the passengers had been standing in the aisle or vestibule since well before Köln-Kalk. Why? Awaiting 1138 RE to Troisdorf via the airport loop, I was astonished to see 103184 approaching with a dead Rabbit and some antique coaches in tow. Managed a phot, even, though unfortunately it came through the platform I was on. The airport branch has two tunnels - the first fairly near the junction with the Gummersbach line and the second lengthy one starting just sosuth of km 13 and containing the ultra-modern Köln/Bonn airport station. You could argue there are three tunnels as although the station is below ground level, part of it is open to the sky. The tunnel ends just south of km 17.6. The loop rejoins the ‘classic’ line via a complex three-level flying junction just north of Porz-Wahn station. To do the job properly you need to do an ICE to or from the south, and an RE in both directions. That leaves ICE and northbound RE for me - suddenly the Coventry - Köln/Bonn flights look good! 111154 provided the shove from Troisdorf. Extremely disconcerted on arrival in the brew pub opposite Köln Hbf (couldn’t remember if I’d been in it. I have - had a meal there with H) to find no EuroDomino. Searched high and low for it, but there it was, gone. I was gripped on the way to Troisdorf but not on the way back and can only guess I didn’t put the ticket away. I could have put it in my pocket and somebody lifted it but it seems highly unlikely even at Köln Hbf. Whatever, my plan had been to go via Solingen-Ohligs just to make sure of the track, and on purchasing a ticket at €6.90 that was the route given. So if I had to lose a valuable ticket, it was a pretty lucky escape to lose it €6.90 worth from the end of its validity. Hurt my pride no end though, having never done it before. And so back to Düsseldorf airport for the flying Coke bottle back to BHX and home, with no future plans yet as the end of my contract is once again imminent. In the event it was six months before I set out to Germany and the Czech Republic, during which my contract had been renewed twice!